Alkmaar [ˈɑl(ə)kmaːr] is a municipality and a city in the Netherlands, in the province of North Holland. Alkmaar is well known for its traditional cheese market. For tourists, it is a popular cultural destination. 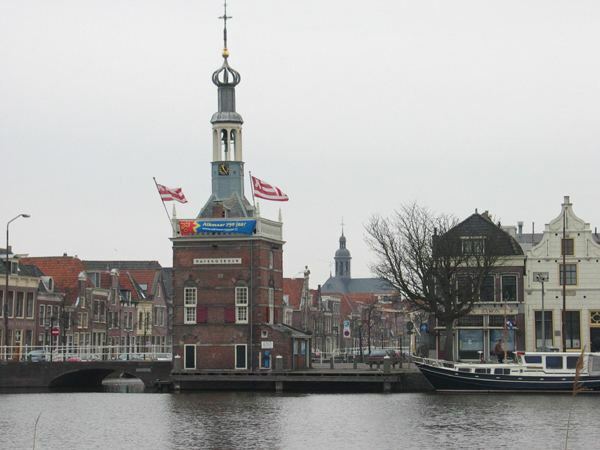 On 1 January 2015 the municipalities of Graft-De Rijp and Schermer were merged into Alkmaar. Alkmaar has many medieval buildings that are still intact, most notably the tall tower of the Grote of Sint-Laurenskerk, where many people from Alkmaar hold their wedding ceremony. The other main attraction, especially in the summer months, is Alkmaar's cheese market at the Waagplein, one of the country's most popular tourist attractions. The cheese market traditionally takes place on the first Friday in April and the last market of the season is the first Friday in September. 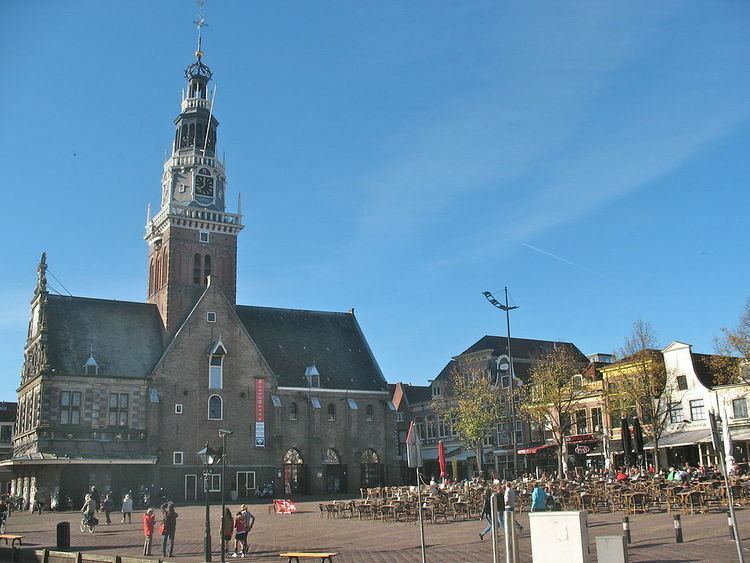 Every Friday morning (10:00–12:30) the Waagplein is the backdrop for this traditional cheese market. After the old-fashioned way of the hand clap, traders and carriers will weigh the cheeses. 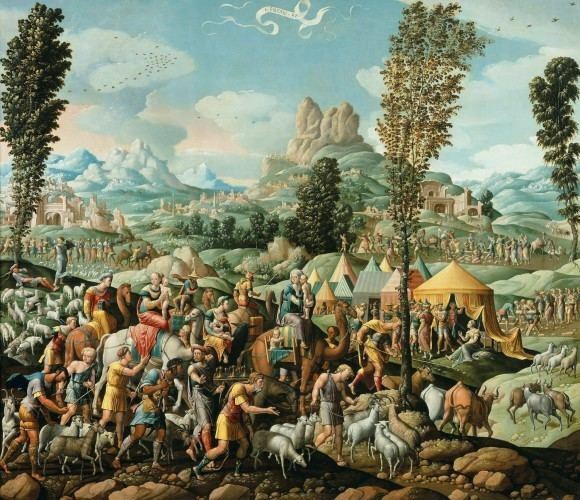 It is one of only four traditional Dutch cheese markets still in existence. The traditional fare of this cheese market is those cheeses made in the local area, as opposed to the well-known brands of Dutch cheeses, i.e. Edam cheese and Gouda cheese. It is not actually possible to buy cheese at the market itself, which is really only a demonstration of how this merchants' market operated in times gone by. However, the demonstration, which takes place in front of the medieval weighing house, is surrounded by many specialized stalls where it is possible to buy all kinds of cheese (and non-cheese) related products. The Waag is also home to the local tourist office and a cheese museum. Alkmaar has 399 registered rijksmonuments, of which most are situated along the city's old canals.